Good 4k, specially as it seems it is one of the first prods. Not bad for a first prod. 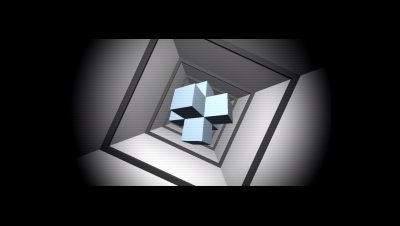 Music is nice, the scene with the music synched cubes is very nice and the boolean cube, too. However the scene on the screenshot has got a bug at my setup and is almost not visible, sadly. That you do use polygons is also charming. Let's see for future prods, there is potential and you did already stuff with this 4k..
what mad said (without the bug).